Because this green sauce was not exactly like the delicious green sauce from Wahoo's. 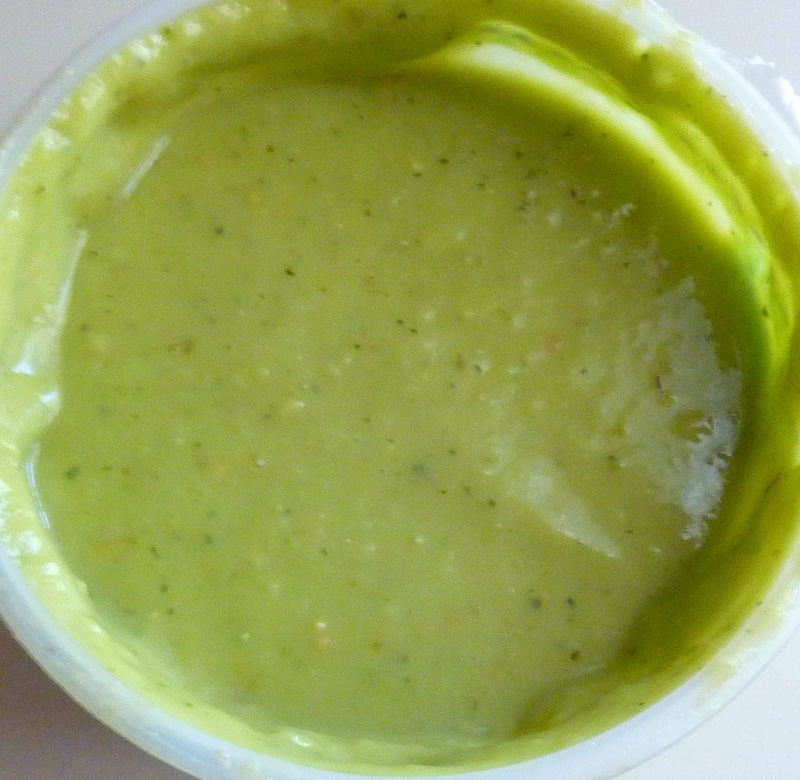 It was exactly like the mildly-spicy green drizzle from Olvera Street—much to Sonia's delight. 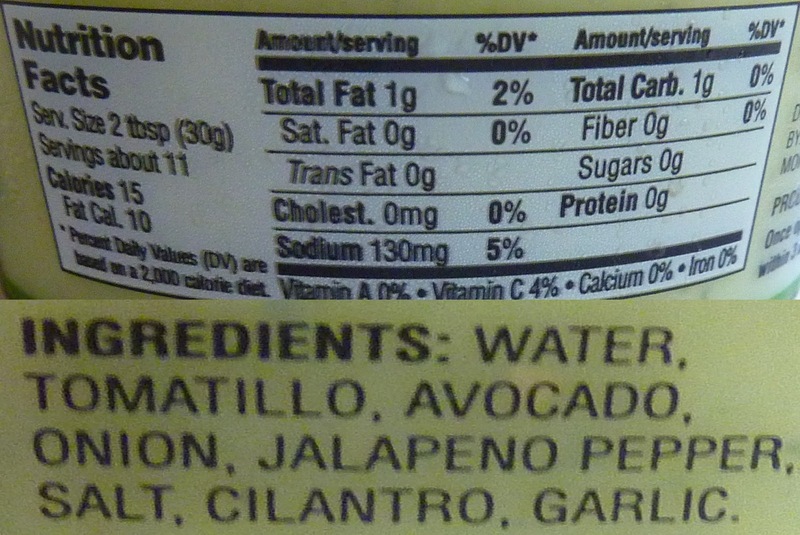 We happened to have some non-TJ's tacos on hand and we tried pouring the Avocado Salsa on them. It was amazing. We also enjoyed using this as a chip dip, but in the latter case, we missed the chunkiness of a normal guacamole or traditional salsa. Make no mistake, this stuff is quite thin as salsas go—and even thinner as guacamole goes. It's almost like a lightly-spiced, pureed—or even...dare I say liquefied?—guacamole. No chunks of anything—just a smooth texture and a nice avocado flavor with a hint of a kick. As I mentioned, you could use it as a stand-alone salsa, but I think it truly shines when used as a drizzle for other Mexican foods or blended into other dishes. I could see this going great on chili or even as a dressing for a taco salad or southwest salad. Sonia wishes it were a little bit thicker and a little bit spicier, but overall, she enjoyed it. Four stars from her. I absolutely agree. This looks pretty good im going to try it next time I hit tjs. Looks perfect drizzled on tacos. I love the food on olvera st too I'm from southern Cali and you can't beat the Mexican food there! You're very welcome, Julia! Thanks for reading. sampled this in store slathered on a bun w a turkey burger. Yum! Good alternative condiment, but a tad bland for me on its own. 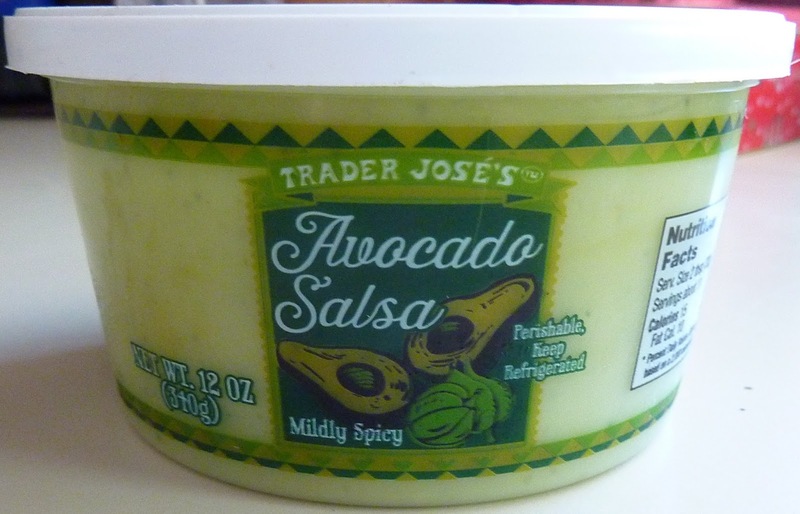 I recently discovered this Avocado Salsa. This morning I baked a kale & spinach omelet, topped with TJ's Wisconsin Extra Sharp Cheddar Cheese, then a dollop of the Avocado Salsa. YUM! I used to buy the Albertson's guacamole which was good at $3.99, but they started packaging it in some square flimsy container with the lid attached that wouldn't shut after I got some out. I like this stuff and the price is even better.